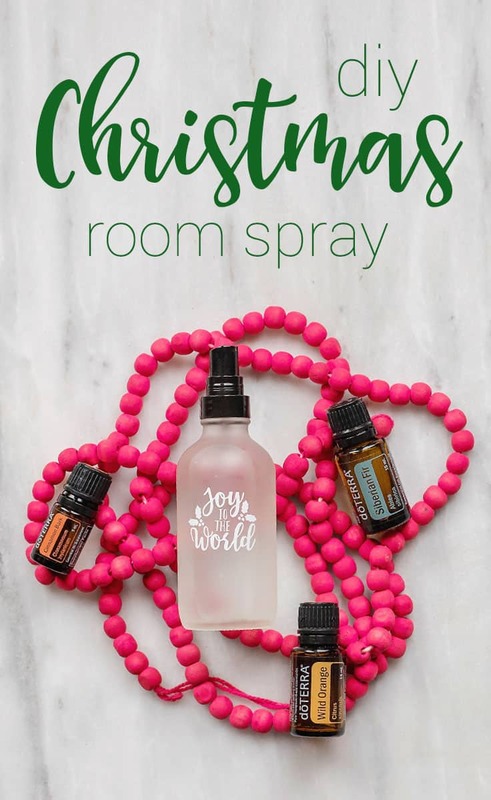 Deck your halls with this amazing Joy to the World Christmas Room Spray made with festive essential oils. One sniff of this room spray will make you want to sing Joy to the World!! Ha ha! I don’t know about you guys, but I love making stuff with my essential oils. So I decided room sprays would be my next fun project. Something I could just quickly spray and my house smells all Christmassy. 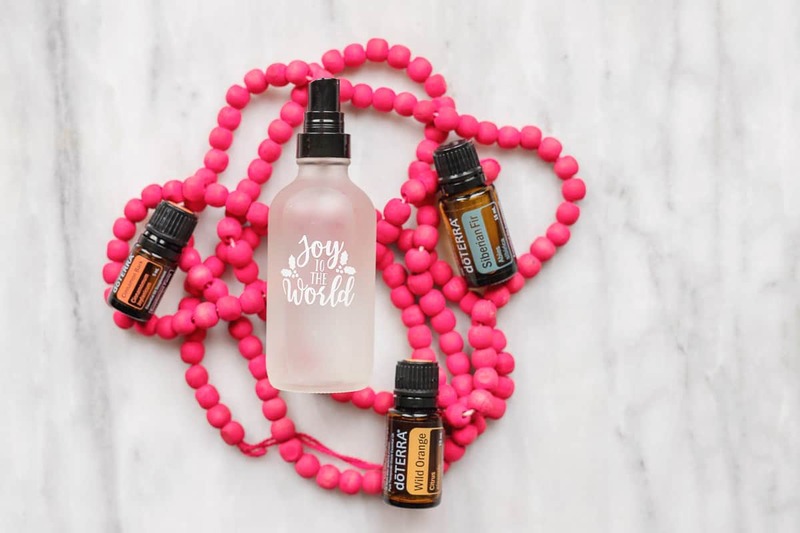 Let me introduce you to my favorite spray recipe: that I am calling “Joy to the World.” A joyous combination of essential oils that makes my house smell spicy, sweet, refreshing, and cozy all in a single spritz. 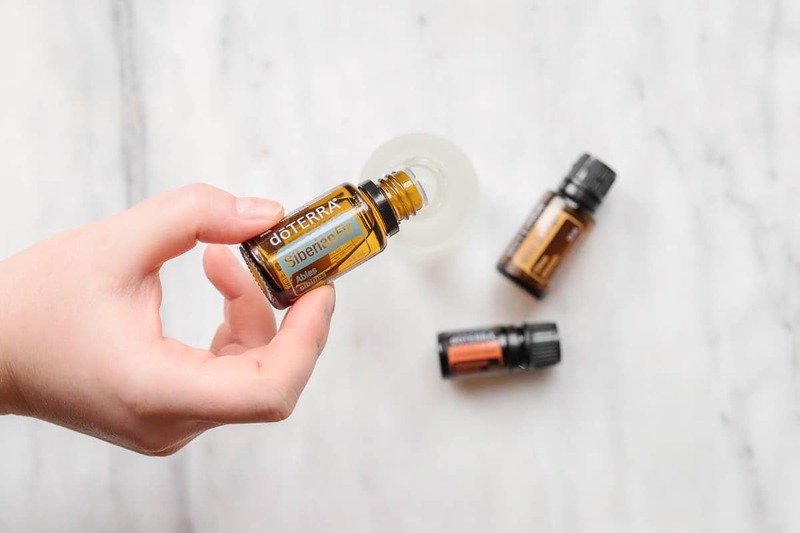 Plus, the natural antibacterial properties in the essential oils help to kill germs in the air, making your home a healthier place to be. Because that’s the last thing I need is for all of us to be getting sick right before the Holidays. Best yet, it only costs $2.02! 1. In a 4-ounce glass spray bottle, add distilled water and essential oils. 2. Put on the spray top, shake before each use, and you’re good to go! I love spraying this in my living room (focusing on my couch), office, bathroom, and bedroom linens. One spray and you will immediately be put into the Christmas spirit.